Both kids are LOVING Geography right now. They are both so interested in the subject and it is fun to see them make sense of it on their own levels. It is so cute to hear them make jokes about the states, pretend to be different states, talk about different countries they want to visit, watch Z draw flags from Olympic countries and BEG to play the different geography games we have. Here are some of our favorite US Geography resources. 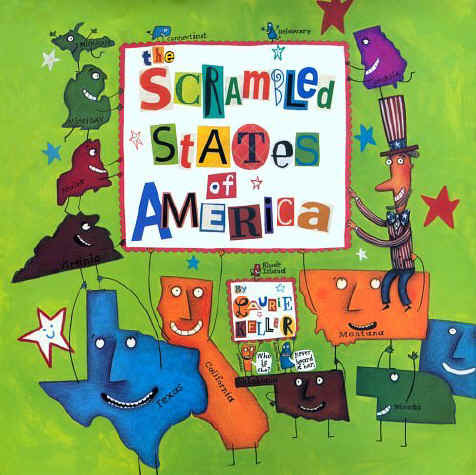 A few years ago we read the Scrambled States of America and both kids loved it. It is the cutest story and since reading it they have seen the movie which the LOVE. Laurie Keller came out with a second story, Scrambled States of America Talent Show and it is just as good (maybe funnier) than the first! For Christmas Z got this game from my mom. It is based on the book and the kids love it so much. We have found a way to make it playable by all of us and it is soooooo much fun!!! Since Christmas we have played this game dozens of times. It focuses on borders, capitals, nicknames, colors, syllables, vowels and so much more. I can’t say enough about this game, it has won a few awards and it is easy to see why. A few weeks ago Z did this puzzle (twice) at a friends house and I knew we needed to add this to our collection. Both kids love it and usually work together to assemble it. Z has gotten really good at putting together and it has helped him to learn where all of the different states are on the map. I love that the majority of the states are their own piece. It is great quality and such a good learning tool. Z LOVES this game and for 99cents it has been so worth it. Every time Z earns a new state he comes running in to tell me and he is begging to play it during his screen time! The game does involve reading and some of the questions are above Z’s head but for the most part he is able to figure them out. Once you collect a certain number of states you unlock mini-games. 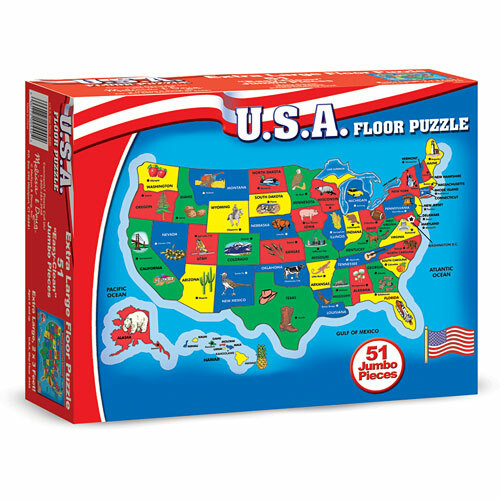 One of the mini-games is to place states on a map. I struggle with this game and have learned so much too. It is so well done.